What Does “Hassle-Free” Pricing Mean? “Hassle-free” means when you shop with us, you can count on getting the lowest price on all of our vehicles—no negotiation needed. Our sales staff is non-commissioned, which means that members of our staff aren’t competing amongst each other for a sale. Rather, our staff is committed to creating a comfortable environment – a no-hassle environment – in order to help Hastings drivers find the best vehicle for their family. Midway CDJR is a proud hassle-free dealership, which is why we offer hassle-free pricing. What Do We Offer that You Won’t Find Elsewhere? You don’t have to worry about buyer’s remorse with us either. Thanks to the 30-Day exchange privilege that comes with every Midway Certified Pre-Owned vehicle, you have plenty of time to find out if you’ve taken home the right vehicle for you—and if you’re not satisfied with it, returning it is a breeze. 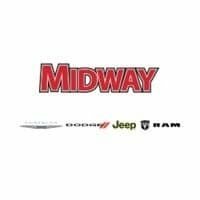 So if you want a friendly, easy-going buying experience car-buying experience close to Kearney, come on out to Midway CDJR. And if you have any more questions about hassle-free pricing, or what’s happening in the community, just contact us online! 0 comment(s) so far on What Does “Hassle-Free” Pricing Mean?